I picked this book up as a freebie on Amazon. And boy am I glad that I did. What an amazing flyboy novel that spans the galaxy. Towards the end of the book I couldn’t help but turn page after page, devouring the images as the tension mounted up to the climax. Sweeney is to be applauded for his vivid writing and the emotions that he coaxes from the reader, involving them wholly in the story. 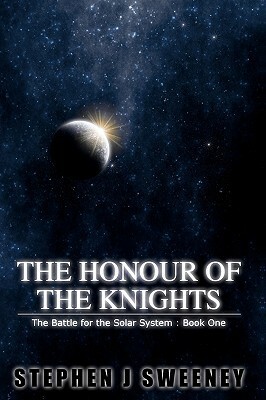 The Honour of the Knights is a very readable book. More so if you’re a scifi fan who is conversant with combat. I’m not sure that I’ll read this book again, but I’ll definitely be looking up the rest of the series, as I need to find out what happens next. The Galaxy will never be the same again, that is for sure! 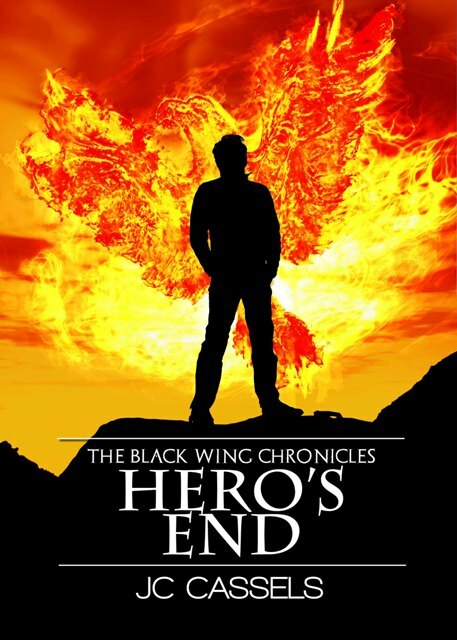 “Hero’s End” is the second book in JC Cassels’ “Blackwing Chronicles.” For my review of the first book, “Sovran’s Pawn”, please go here. Cassels can be followed on Facebook and Twitter. “Hero’s End” is a better book, both stylistically and story-wise, than “Sovran’s Pawn“. The characters are alive with rich background details. Scenery is described in dramatic fashion but not to the point that a reader becomes bored with every descriptive nuance. The story is well paced with a good blend of action and exposition. If you love the lush settings, blood-curdling action, and cliffhangers of George RR Martin’s “Game of Thrones” series, you will like this book. Blade Devon and Bo Barron are back to save the galaxy each other. While there are certainly over-arcing political plotlines within “Hero’s End”, this is the story of Blade and Bo. As the second in a series, the book does a good job of treading the fine line between re-telling the first book and plunging the reader into the action with no point of reference. The first three chapters are a bit slower paced than the rest of the book, but still manage to draw you in. This series of books is good, classic, space opera. The plot is character driven and centered around the romance of the two protagonists. Don’t be misled, though. This is not a sappy romance novel set in space. Cassels has created an entire galaxy full of competing star systems, power-plays, holo-feature starlets, and mystical wisemen. There’s more mysticism in this story than in the prior book. I always have to give myself a good mental shake when there’s talk of telepathy. Yes mind reading is all very sci-fi, but the book does take place on spaceships and alien planets. I’m still an ebook snob, so I’m not going to over-look the lack of a working Table of Contents or chapter hyperlinks. I stayed up until 4am to finish “Hero’s End”. Be warned, it ends in a cliffhanger that is so wrenching as to make me curse aloud. Fans of space opera will not want to miss this book.